The all-important Groovin The Moo 2019 line-up has dropped this morning, with lots of big names ready to entertain. Making their way from across the planet for the six events this year are the likes of MØ, Sofi Tukker, Tokimonsta, Flosstradamus, Coolio and the all-conquering Billie Eilish. Not to be outdone by the overseas competition, however, a cavalcade of top notch home-grown talent is also locked, including Nicole Millar, Trophy Eyes, Thelma Plum, Just A Gent, Hilltop Hoods, Crooked Colours, G Flip, Jack River and many more. 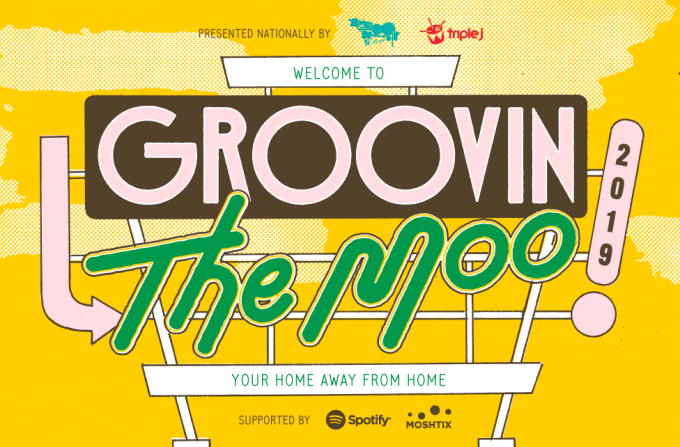 Groovin The Moo 2019 officially kicks off in Adelaide on Friday April 26, with the Maitland and Canberra events to follow on the same weekend. Then it’s off to Bendigo and Townsville on May 04 and 05 respectively, before it all wraps up in Bunbury on Saturday May 11. Tickets for the Adelaide, Maitland and Canberra events are on sale at 8am local time tomorrow. Tickets for the Bendigo, Townsville and Bunbury events are on sale at 8am local time this Friday, February 01.